A short biography of Bulgarian anarchist and anti-dictatorship guerrilla, Gueorgui Cheitanov. Born at Yambol in Bulgaria in 1896, Gueorgui Cheitanov was to prove to be one of the most outstanding figures (and there were many) of Bulgarian anarchism, and of its specific organisation, the Anarchist Communist Federation. A brilliant pupil at high school, from an early age he possessed a rebellious nature. He gravitated very early on in life towards the anarchist movement. At the age of 17 he burnt the archives of the local court and was forced to flee into exile after escaping from prison, arriving in Paris at the age of 18. Here he met up with many other Bulgarian anarchists like Varban Kilifarski, who taught at La Ruche, the free school and cultural centre set up by the French anarchist Sebastien Faure. He returned secretly to Bulgaria in 1914, continuing his revolutionary propaganda. 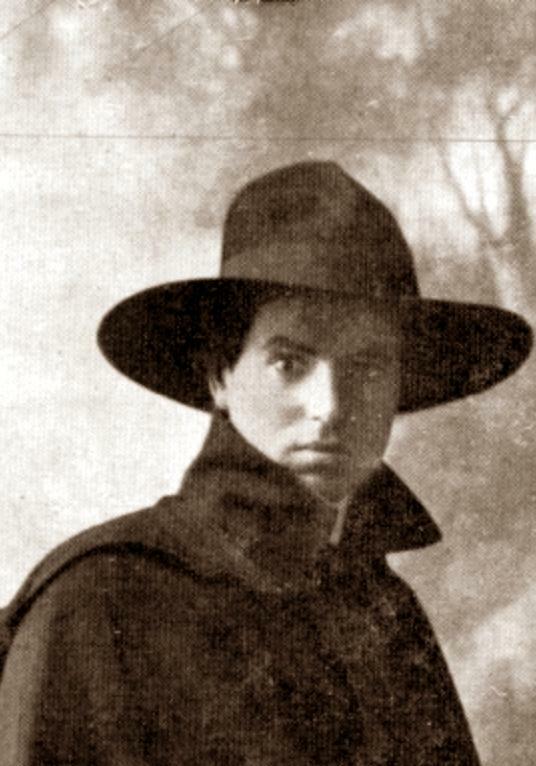 Arrested and tortured by the police, he escaped again and between 1917 and 1918 was the only Bulgarian revolutionary to go to Moscow at the start of the Russian revolution, crossing the Danube, Romania, the Russian trenches, Ukraine and Russia disguised as a soldier. In Moscow he made the acquaintance of the old Marxist Plekhanov and many other well known Marxists and Bolsheviks, who asked him to take charge of a Bulgarian language edition of a revolutionary journal. He became friends with many Russian anarchists and soon realised the real counter-revolutionary role of the Bolsheviks. He decided to return to Bulgaria with the favourable revolutionary circumstances after the collapse of the Bulgarian front and the soldiers' revolt. Crossing the Ukraine, he fell into the hands of the White Army of reactionary Russians, but managed to escape from the firing squad! Arriving back in Bulgaria, he contacted the anarchist movement, most of whom were forced to operate underground. He issued his famous open letter Appeal to the Anarchists as well as a Manifesto to Revolutionaries where he developed a clear anarchist position in favour of the Russian Revolution. He participated in many armed actions against the State, escaping from prison twice in spectacular circumstances. At the age of 26 he took a look at the guerrilla tactics of the movement and offered a self-criticism in describing them as inadequate to the social struggles developing in Bulgaria. What was needed, he felt, was mass organisation and action, not just in the workplace but in all areas of life. A very talented propagandist, orator and poet, he exercised a great and charismatic influence over many. As an orator he avoided the usual tricks, communicating in a clear and concise way. He participated in the liberation of the notable anarchist Petar Maznev from prison, and lectured the policemen captured in this incident, on anarchism and the social situation. These cops were freed after promising that they would resign from the force - they kept their promise! Maznev subsequently died of TB due to his imprisonment and underground existence. Buried at his native village, his funeral was the occasion for a massive demonstration in which the anarchists of the region participated. Cheitanov delivered a passionate speech which was much remarked upon and helped in the rapid development of the anarchist movement in the area. Cheitanov contributed to Free Society, the theoretical review of the Anarchist Communist Federation., as well as to the literary review Plamak (Flame) which influenced many intellectuals. He also edited the underground newspaper Acratia between 1924-1925 which came out 3 times. In 1923 a military coup led to the butchery of 35,000 workers and peasants. The armed resistance that followed ended with the bomb attack by the Communist Party on Sofia cathedral which was aimed at the country's elite. A massive campaign of repression was then unleashed by the fascists and military against the revolutionary movement. Special police detachments were set up to hunt Cheitanov down. All the guerrillas united into a single detachment, being forced to disperse towards the end of May. Cheitanov and his companion in love and struggle, Mariola Sirakova, were caught in an ambush and arrested. They were taken to Belovo railway station and shot with 12 other prisoners on 2nd June 1925. Cheitanov was officially recognised by the post-war Communist regime which named streets after him and erected a statue in his home town of Yambol. This did not stop them from persecuting Cheitanov's comrades still alive, sending many to prisons and concentration camps!